The newest addition to this family of stores, Wild Life, brings nature and culture to the forefront of home. Artisans from around the globe are represented. Here you will find master glassblower, Michael Ruh, alongside distinctive recycled glass from Oaxaca, Mexico, further juxtaposed with the particular clean lines of Danish-blown glass. 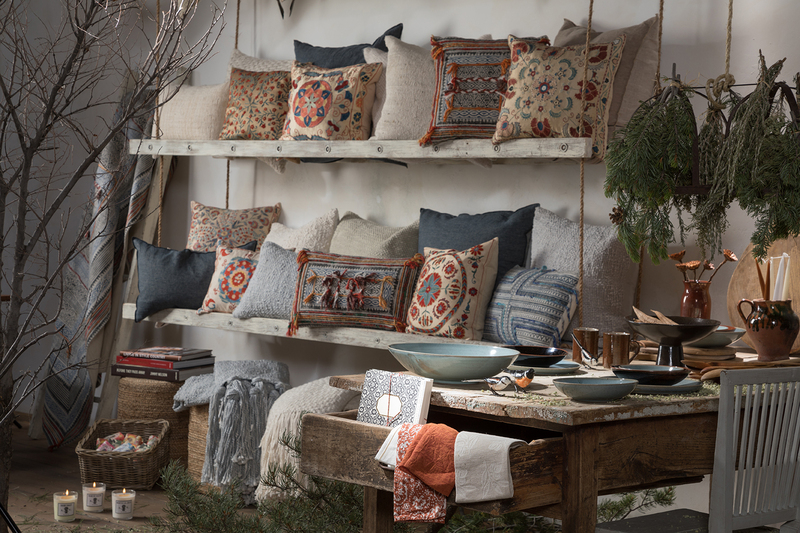 Other specialty items include woven raw cotton and alpaca from Argentinian makers, cashmere throws that are bathed in the glistening pure waters of the Alps, meticulously dyed textiles from the world’s foremost indigo-dyer, and hand-stamped table runners hailing from an Italian family with five generations of artisans. Each item carried in Wild Life is made by hand, often with some combination of antique materials, handmade dyes and glazes, and sustainable making processes that honor the environment.